Vinylume isn’t just proficient at all GAF® roofing system installations, but also your ultimate source of all the brand’s warranties. As a Master Elite™ contractor, our company gives you access to GAF’s three levels of coverage to help you protect your investment for years to come. As the manufacturer’s standard guarantee, this provides labor coverage on repairing any material defect with the shingles pver the next 10 years. Even if other parts of your roof’s component are GAF, they won’t be covered. A huge step up from the standard guarantee, GAF’s System Warranty provides labor coverage on repairs caused by any material defects of shingles—and the rest of the system. If you buy the complete Lifetime Roofing System, your coverage is good for up to 50 years. In addition, it covers any installation-related issues in your Westchester roofing system for up to two years. This warranty includes the repair of the misapplication of certain flashings. Be sure to hire a certified installer to enjoy this mid-tier GAF warranty. GAF’s most comprehensive warranty provides the same level of coverage on material defects as the System Warranty. The only difference is that it includes astonishing 25-year workmanship coverage on Lifetime Roofing Systems. Whether or not your installer remains in business during this period, you can rest assured that any installation-related problems with your Norwalk roofing system will be fixed by GAF itself. In case the service requires tear-off and disposal, the costs will be included in the warranty. 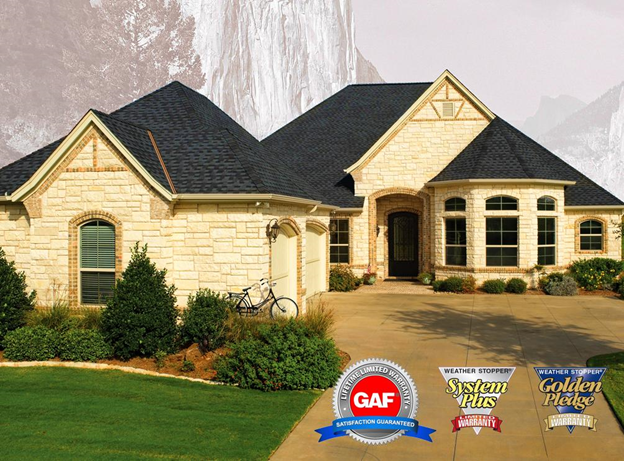 This top-tier warranty is only accessible through a Master Elite contractor like Vinylume—one of the top 3% of roofers in the U.S. As GAF has 100% confidence in our work, this leading brand rewards you with this powerful warranty by simply choosing us. Discover more great features about GAF warranties. Call Vinylume now at (866) 244-8029 for your questions or concerns.